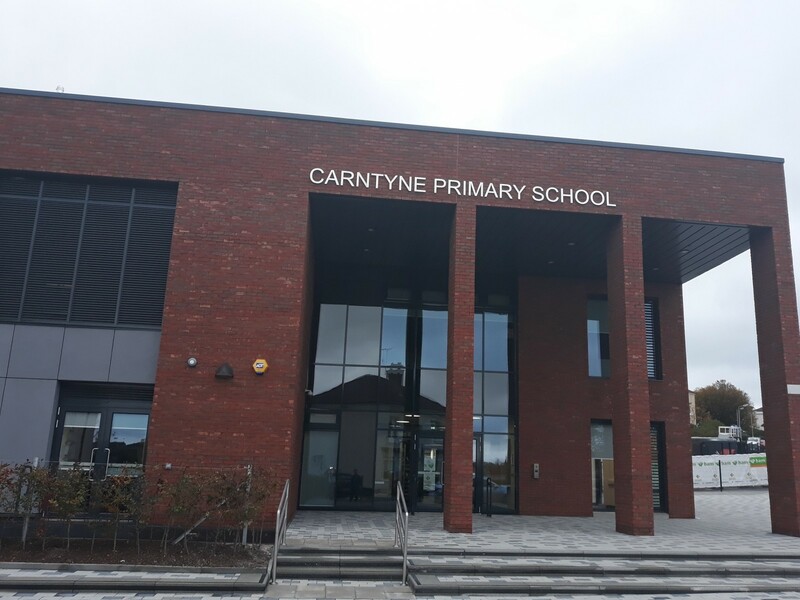 BAM Construction have handed over a completed Carntyne Primary School, built on the playground of the existing school at Liberton Street, which remained in operation throughout. The 231-capacity school includes its own multi-use games hall and has been designed by Holmes Miller Architects on behalf of Glasgow City Council. A sister primary school at Blairdardie is scheduled for completion in spring 2019. Having seen the the whole elevation by clicking on the link, do contemporary architects EVER simply consider the semiology of their one-language-fits-all work? FFS This is a primary School! You could just remove the sign and put up 'Carntyne Sheriff Court' instead. At least it'd be a better fit. This unthinking cliched sort of 'approach' completely pisses me off. Haud - They may simply consider it then quickly dismiss it as they have to make some sort of a profit on the ridiculously low fee so one language does indeed fit all because the details are the same as a string of previous projects. #1: Sure point. My initial thought was the new Carntyne Crematorium seeing this design. Poor kids. Seems to be set up to handle a small scale single stream student cohort -- 1 class x 33 pupils across the 7 primary grades. Consequently not a very efficient way of providing primary education in an urban environment -- Chiefs vs Indians? Multi purpose hall looks a bit small plus more low cost covered space would have been useful given our climate and a need to get the children moving about every day. As noted above the design will be able to be dated to the tea break in a thousand years time. Finally good to see that flat roofs are now the order of the day -- 50 years if a full cycle in architectural terms? I had to do a double take there. I thought GCC designed their own (award winning!!?) schools? Its a stereotypical council approach though - "We've been winning awards for our in-house design of our schools - it would actually be better to have cheaper, outsourced, really ugly looking schools. That's what the people want after all." HM: you basically have a monopoly on hub schools. SO: Charge more fees. Spend more time on design. Create better schools. Do us all a favour. Sinister looking....in a Benito Mussolini kinda way. Dark finishes and a judicial, 3 storey portico entrance for 6 year olds.